Their other solution was smashing the crutch of language. 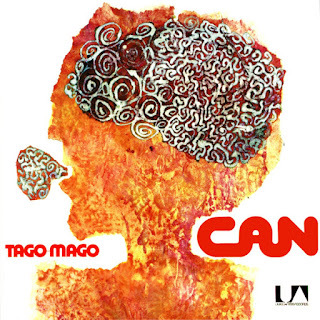 After Can's original singer Malcolm Mooney had left the band in 1970, they'd encountered a Japanese street artist named Damo Suzuki "singing or 'praying' in the streets of Munich" (as Czukay put it) and immediately installed him as their new frontman. Suzuki is ostensibly vocalizing in English-- the lingua franca of rock-- but English that's either seriously mangled or almost totally faked. Tago Mago is seven songs in 73 minutes; the first half is big-beat floor-fillers, the second half yanks the floor away. For those first four songs, drummer Jaki Liebezeit is the star of the band, setting up rhythmic patterns of his own devising (isolate his part of almost any Can song, and you'd immediately know what you were listening to) and repeating them like mantras. His drumming is actually the lead instrument on "Mushroom", which could very easily pass for a post-punk classic from 10 years later; everything else just adds a little tone color. (The song might be about a psychedelic mushroom, or a mushroom cloud, or maybe just the kind that comes in a can.) And his deliberate, crisply articulated marching-band-of-the-unconscious beat is the spine of the overwhelming "Halleluwah", possibly the only 18-minute song that would be too short at twice its length. Then the trip turns sour and trembly. "Aumgn" is almost as long as "Halleluwah" but clammy, deliberately disjointed, and nearly rhythmless; its central sound is keyboardist Irmin Schmidt's repeatedly intoning elongated, mangled variations on the meditative "om." Both "Aumgn" and its follow-up "Peking O" mess with their listeners' perception of time-- everything in them happens much more quickly or slowly than it's supposed to, and as soon as any pattern of sound has stuck around long enough to grab onto, it shudders and evaporates. By the time the dreamy, softly throbbing one-chord piece "Bring Me Coffee or Tea" arrives to conclude the album, it's almost hard to trust it not to be a mirage. 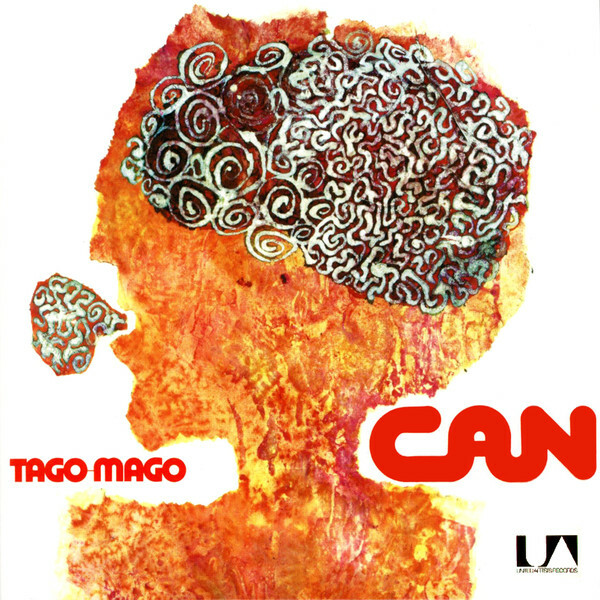 The bonus for the new edition (aside from a reproduction of the original sleeve, with four variations on a semi-abstract image concerning the mouth and the mind) is a three-song 1972 live recording: something identified as "Mushroom" that shares nothing but a couple of lines with the Tago Mago version, a "Halleluwah" that fades out after nine minutes without generating the studio recording's heat, and a half-hour workout on the band's three-minute German hit "Spoon". 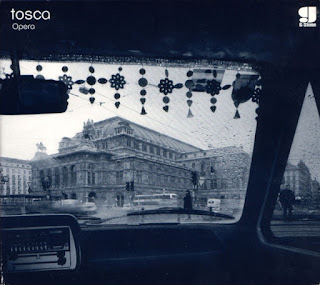 It's okay-- they were a solid jam band, and Liebezeit could pull off those remarkable rhythms on stage, too-- but it's mostly interesting for its perspective on how much less a band Can might have been without Czukay's keen razor blade slashing away their excesses and preserving their flashes of revelation.